Learn how to embed an email optin form directly into a WordPress blog post. In this tutorial you will learn how to create an opt-in form similar to the one below using Thrive Leads and self-hosted WordPress. These tools can save you serious time! Email marketing is a great way to connect with your audience. You can use it in a multitude of ways ranging from providing them with special tips that only they get to selling your latest product. The saying that I hear these days is that the "money is in the list." I believe this is completely true. But just having a random email list isn't going to do anyone any bit of good. You need to have an email list of individuals who are extremely interested in what you have to say. There is another reason to have a list. Email can be a great way to connect with your readers. For example, I often send out an email just asking how I can help people or asking them what they are working on. Email marketing is not dead. It may be true that click through rates or open rates are down but that doesn't mean that people are ignoring you. I subscribe to some of my favorite bloggers by email. The truth is that I don't always open or read their emails. However, I see them and it is a reminder to go check out their blog and see what they have going on. Email marketing is a great way to remind people that you are still around. 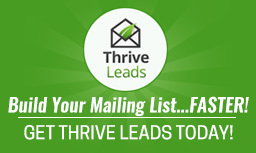 Thrive Leads installed on your blog. If you are unsure of any of these items then check out this blog post: This Is A Step By Step Tutorial On How To Create A Lead Magnet. 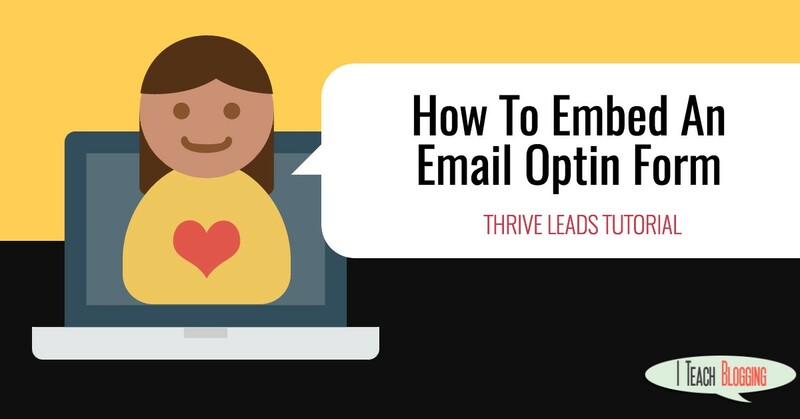 Now you should know how to embed an email optin form using Thrive Leads. If you have any questions please let me know. I am always looking for what the next tutorial should be. You can email me at renee @ iteachblogging .com (or you can use that "Leave a message" button on the bottom right of your screen.) I really do respond.